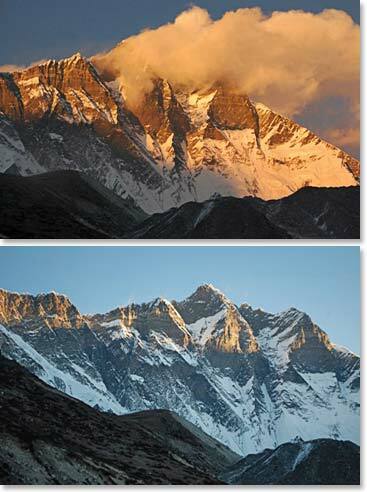 Ang Temba called the office today at 6:45 PM Nepal time to report that Scot and Sandu had reached the summit of Island Peak. When Temba called he mentioned that Scot, Keely and Alyssa were happy to be reunited today at Temba’s lodge – Highland Sherpa Resort, and to congratulate Scot and his team on a successful summit. 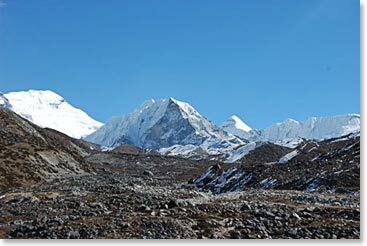 Temba mentioned that the whole team is doing great and they plan to visit Ama Dablam Base Camp tomorrow. 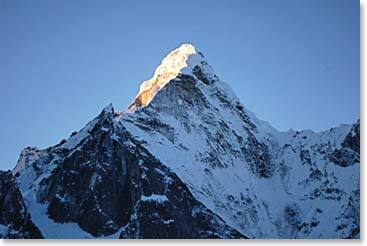 Congratulations to Scot and his Sherpa team for a successful ascent of Island Peak! Ang Temba’s awesome photos taken from the village of Chukung. 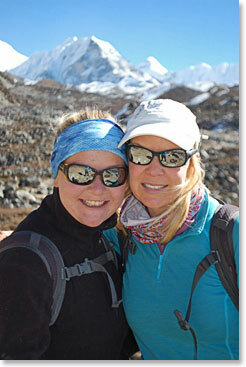 Congratulations to Scot and the Sherpa team for their successful ascent of Island Peak!